One of my loyal and dedicated students in Canada was concerned. He had seen an advertisement, on You Tube or Face book, a promotional video; a really cool video advertising "The Toughest Krav Maga". 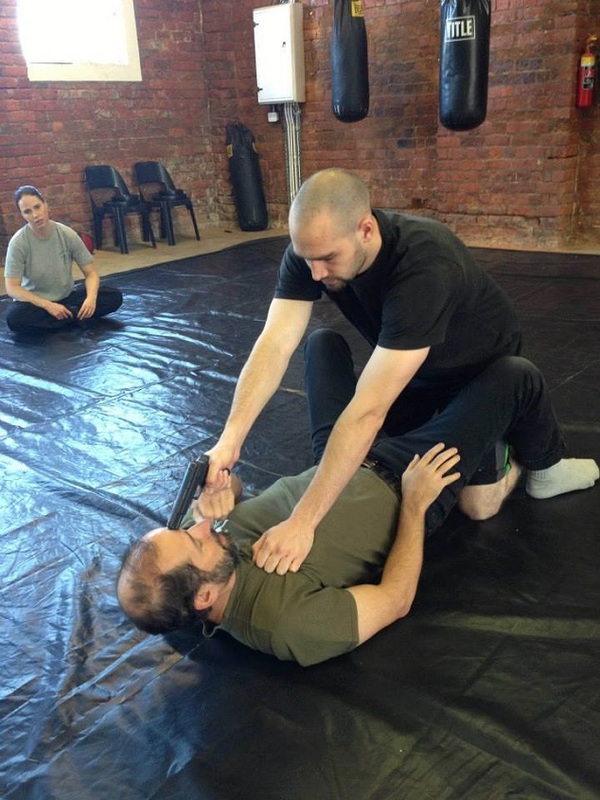 He could see that their techniques were weak and unlikely to work for most people but he was concerned that that their snazzy, cool and exciting promotion would sweep the Krav Maga world. Such is life; there have always been slick advertisers, and there always will be. As they say, "A fool and his money will soon part", and "Buyer beware". At IKI we are looking for the educated martial artist. Those who come to us have done their homework, they have been fooled before and have vowed, in the words of the Who, "We won't be fooled again". The advertising world is an ugly one, do not go searching for your Truth over there. I appreciate the passion of my students. After years of searching and training they have found us, IKI Krav Maga, and it has opened their eyes, this is what they have been searching for all along, a home, a place that matches their goals, their aspirations. 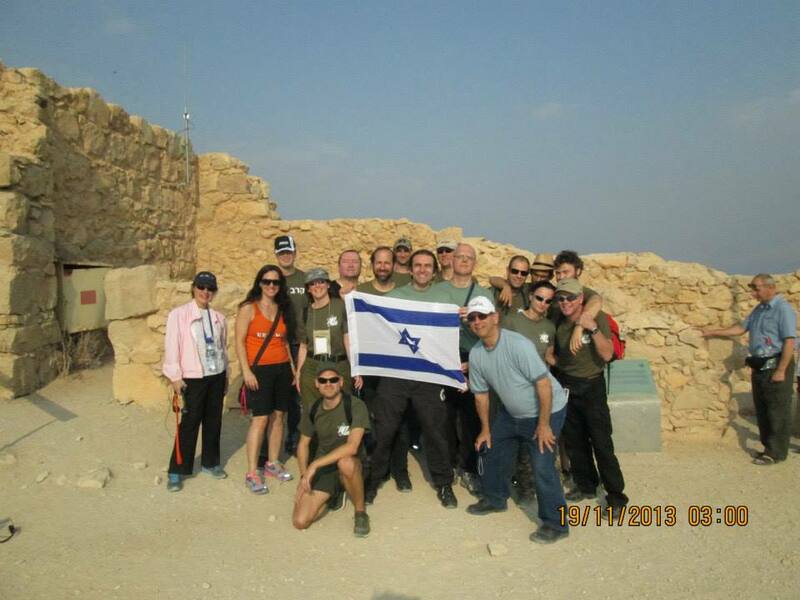 Many of our students have been on the same path as IKI and like Jethro the Midyanite when he met Moses, these students/instructors know they have arrived home. And the stench of falsehood disturbs them. To be fair I do understand the other organizations, they truly feel that "What does not go with force, will go with more force". Like when your door is stuck you just push harder. We prefer to stop and think, wiggle the key gently, there is no need yet to kick in the door. On one occasion when I had to, I did kick in the door, The same with Krav. First think, analyze, find the best way. Karate Kid lesson: "Old man, I told you to move, why are you still here talking with me, I guess that old rickety body of yours does not move so fast". Mr. Miyagi Sensei: "Move fast enough, when necessary". Know when to hit and when to talk. Wisdom comes with age. We can be tough enough, when necessary. Our students have proven themselves on the street, in their homes (domestic violence) and on the battlefield. One of our students received an award for bravery, jumping out of his tank and rescuing men under fire. We are tough enough, when necessary. 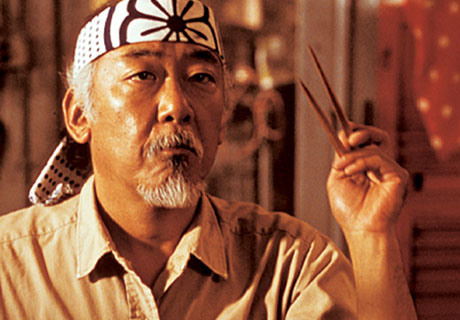 Mr. Miyagi, The Karate Kid film, but he represents real people, real wisdom. Such people do exist in our world, you just need to find them. 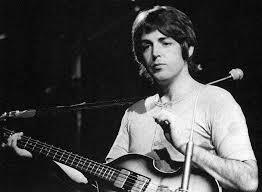 When my student told me about the "Toughest Krav Maga" it reminded me of an interview with Paul McCartney and the making of the Beatles song "Helter Skelter". McCartney said there was a rumor that The Who were coming out with the "Loudest, heaviest, rock and rock song ever", so the Beatles felt they had to top that. McCartney said, "We never found out what that song was that The Who were planning on writing". Paul McCartney, he visited Israel a few years ago. So my question is: What is our goal? Is our goal to top the competition and make the "Biggest baddest rock and roll song ever", or is our goal to get home safe? I am gathering that some schools want to be known as the "Toughest Krav Maga school". Fair enough, but lets be clear, being the toughest does not make you the best. 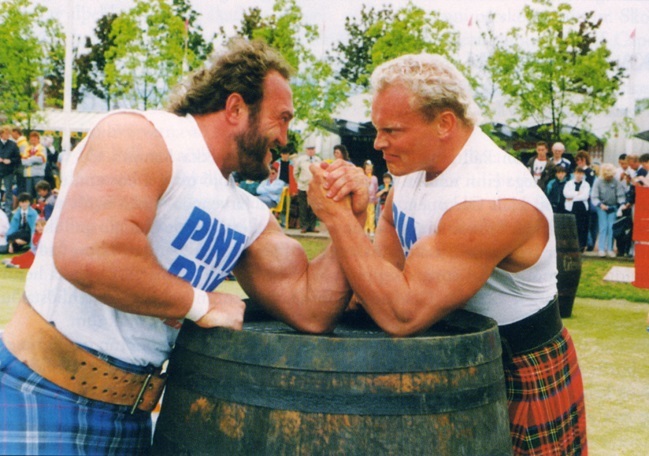 I have heard that in Ireland, Scotland, Norway, there are Tough Man/Strong Man competitions. The goals are clear; to show who is the strongest, nothing more. So if you can throw a tree trunk farther then me, or throw a huge stone farther than me, yes, you are stronger, but that does not mean you have a better chance of getting home safely. Fact is a lot of these guys eventually end up at my seminars and classes. They know the difference between Tough Man competitions and real self-defense. I will say it again, the goal of IKI Krav Maga it to get you home safely, that's it, nothing more. It does not mean you will win the arm wrestling competition. It will not mean you will be named "The Toughest Man Alive", but ...you will be alive. That is good enough for me. If this is your goal too, then your place is with us. Strong man competitions, not a Krav Maga class. IKI club under the expert guidance of Tony Hardy, a tough man, a kind man, a pet owner, and a vegan. When I was in Durban, South Africa I heard stories about King Shaka Zulu and the great Zulu warriors. Clearly they were tough, very tough. Where are they today? The story was told that King Shaka Zulu wanted his warriors to be so tough, so he trained them like crazy. They would have to dance barefoot on a terrible sharp thorn that could tear into their skin. If they showed so much as a sign of pain on their faces, they would be clubbed to death by their fellow warriors. (note to self; buy one of those next trip to South Africa, really cool weapon). I do not think any Krav Maga school can match that. But when the British came things did not go so well for the Zulu. They fought with great bravery, they charged forward, and they actually lightly injured three British soldiers. Over 3,000 brave Zulu warriors fell in battle that day. You see the British were not as tough but they had leather military boots, and they had guns, and they won the battle. Think about it; Tough or smart? The choice is yours. When I trained in Kyokushin Karate I felt great pride when fellow students referred to me as "an animal". Now when I look back I feel that as much as I love animals this is no longer the way I train. I want simple, effective techniques that work. That's it. I just want everyone to get home alive. Lets leave the tough man competitions to the Vikings and the Scots. 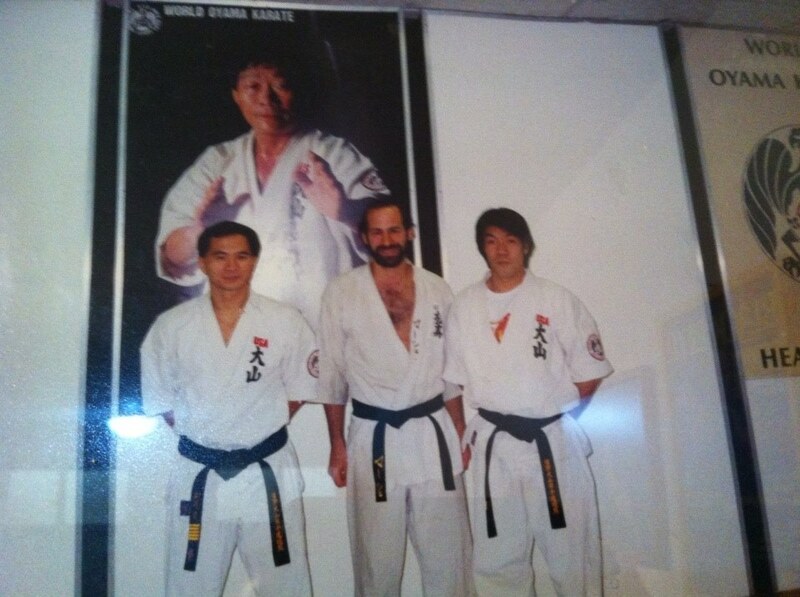 Back at the Oyama dojo, 1980's, with Sempais Sakai and Terao, now famous Karate instructors.